It's that time of year! 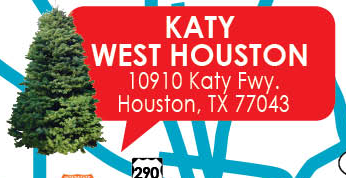 Moon Valley Nurseries has Houston's freshest Real Christmas Trees available in Houston at the lowest prices in town...GUARANTEED! Our super fresh Christmas Trees are express shipped from our Oregon Christmas Tree Farm within 48 hours of cutting, making sure our customers are getting only freshest Christmas Trees available. We carry fresh cut Noble Firs, Fraser Firs and Douglas Firs with heights from 3 to 15 feet. Our huge Christmas Tree lot is open daily from 9am to 9pm. Don't forget to print your $6 OFF coupon below, just click on the coupon to print, or just show the coupon on your smartphone! Click below for directions to our lot! Open daily from 9am to 9pm starting November 24th. Click below for directions and to print your $6 OFF coupon or just show the coupon on your smartphone!